While Capitol Hill takes a closer look at this emerging asset class, Coinsource enters the D.C. market. Washington, D.C. – April 12, 2018 – Coinsource, the world’s largest Bitcoin ATM network, today announced its first expansion into the Nation’s capital. Coinsource will install 20 machines across the District of Columbia and Maryland after receiving significant demand from Bitcoin users and local merchants. This installation caps off a successful first quarter for the company after launching 10 machines in Rhode Island, New Hampshire, and Massachusetts in early February. 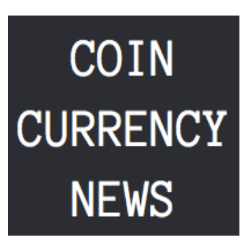 Additionally, Coinsource introduced eight new machines in Denver, Colorado last week. Washington D.C. is no stranger to cryptocurrency and its implications. Earlier this month, a subcommittee of the U.S. House of Representatives Financial Services Committee held a hearing examining cryptocurrencies and ICO markets, while The Chamber of Digital Commerce hosted its third annual D.C. Blockchain Summit. Additionally, several local restaurants, bookshops, and record shops have been accepting Bitcoin as payment since last year. Currently, Washington D.C. has five machines being serviced by five different operators. With this deployment, Coinsource will be the largest Bitcoin ATM operating network in the D.C. metropolitan area. D.C.’s 20 new Bitcoin ATMs (12 in Washington D.C., 5 in Baltimore, 1 in Towson, 1 in Oxon Hill, and 1 in Takoma Park). Coinsource services 164 million residents across the country and currently has 182 machines in 19 states; California, Oklahoma, Nevada, Texas, Louisiana, Missouri, New Jersey, New York, Pennsylvania, Tennessee, Arizona, Georgia, Rhode Island, New Hampshire, Massachusetts, Colorado, Maryland, Delaware and the District of Columbia. For more information, please see the details of locations below or visit http://www.coinsource.net. 3333 Martin Luther King Ave.